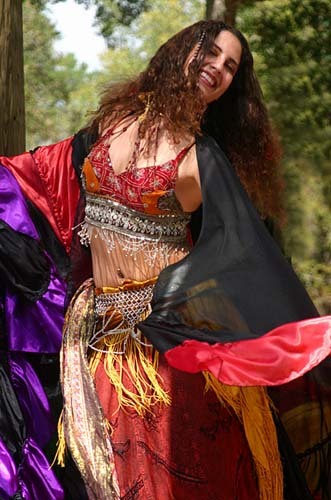 Fabulous Photographers -- All of us in Gypsy Dance Theatre are immensely honored by the time, effort, and artistry contributed to us by a small party of highly talented photographers. We are pleased to be able to share some of their images with you here, in these GDT photo galleries. In particular, we are grateful to Chris Brown and Joe Hill for the many fine prints and digital images they have shared with us over the years. They have come to know our dances so well, that they are able to capture and depict the beauty of exceedingly fleeting moments within rapidly flowing dance routines. Faithful through sunny days and driving rain, they have become our treasured friends, have broken bread with us in Gypsy Camp, and shared in our successes and sorrows. From the bottom of our hearts, gentlemen, we thank you! These galleries also include images contributed by other fine friends and strangers alike. Our hearts are warmed by the gesture of a print anonymously dropped in our tip basket, graciously offered at the end of a show, or a handful of lovely digital images sent by email out of the Internet wilderness. We thank you one and all for taking the time to share your vision and magic with us. 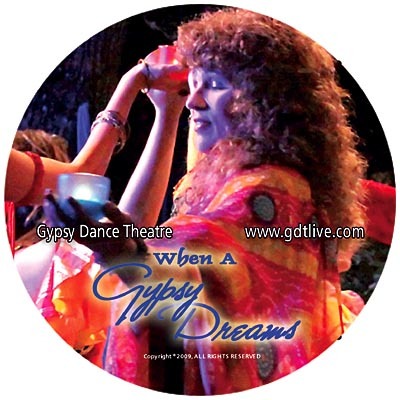 Below you will find links to the web site's of Chris, Joe, and some other excellent photographers who have contributed their images and imagination to Gypsy Dance Theatre. We hope you will enjoy their work as much as we do. Paul Stout's "Photography on the Run"